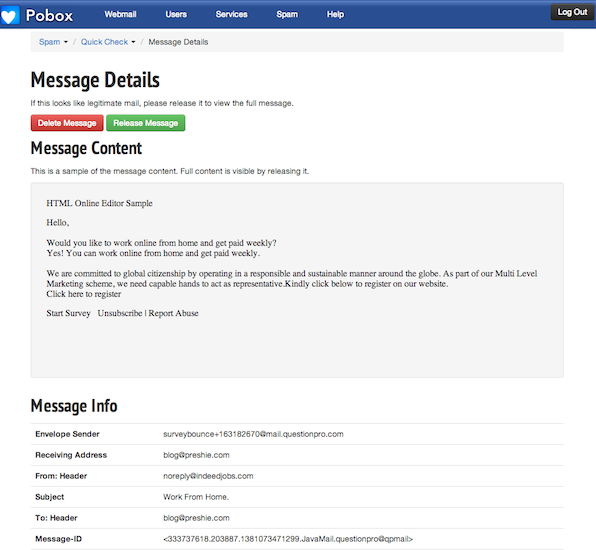 Pobox Blog: Sneak a peek at your spam. 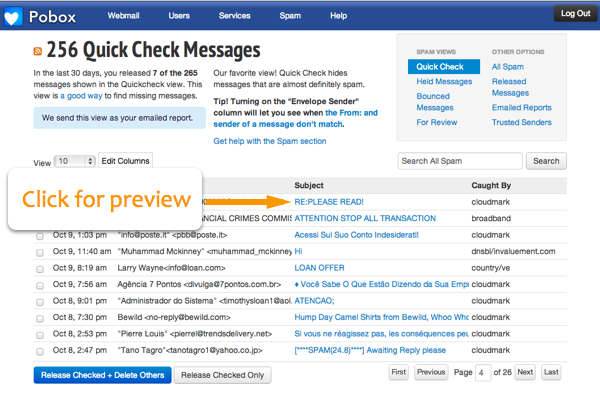 Sneak a peek at your spam. We've added a new feature to the Spam section, long requested by those of you who review your spam regularly. A brief text preview of the message is now available by clicking the subject of held messages! Starting today, clicking on subjects in your emailed reports will take you to the preview page, so you can make a more informed decision about whether you want to release it. We hope you'll find this a useful addition to the Spam section. As always, if you have any questions or see any problems, please let us know.